ATLANTA – The Metropolitan Atlanta Rapid Transit Authority (MARTA) board of directors has elected Fulton County representative and former Vice Chair Freda B. Hardage as chair of the MARTA board of directors. Hardage is the Director of Foundation Services for the Alpharetta Medical Campus for Northside Hospital. She was appointed to the MARTA board of directors by the Fulton County Board of Commissioners in 2013 and elected vice chair in 2016. William F. Floyd was elected vice chairman. Floyd served 13 consecutive terms as Mayor of Decatur and was appointed to the board in 2017 by the mayors of DeKalb’s 11 cities, not including Atlanta. Clayton County representative Roberta Abdul-Salaam, who has served on the board since 2015, will continue in her role as secretary while former Chairman Robert L. Ashe will now serve as treasurer. Ashe has been a board member for seven years and chairman for the last five. 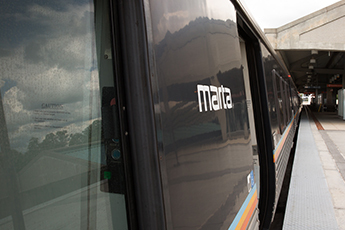 The MARTA board of directors is comprised of 13 members representing Clayton, DeKalb, and Fulton counties and the city of Atlanta, as well as two ex-officio members from the Georgia Department of Transportation and the Georgia Regional Transportation Authority. The policy-setting board meets monthly to address challenges and opportunities facing the Authority, while exploring ways to innovate and expand the system.